Home values affect much in the economy – especially the housing and consumer sectors. Periods of rising home values encourage new construction while periods of soft home prices can damp housing starts. Changes in home values play key roles in consumer spending and in consumer financial health. During the first half of this decade, sharply rising home prices boosted home equity, consequently, consumers had money to spend. Click here to read more. Stocks closed mixed on Friday, but mostly recovered from early losses. The muted performance is attributable to fourth-quarter earnings, negotiations over a China trade deal and the insipid debt ceiling issues. Our winter edition of Financial Edge 2019 is now available. 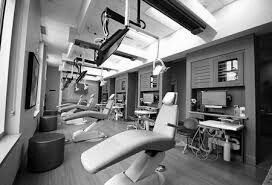 The latest on Walgreens/Aspen Dental, Practice Growth via Social Media and your new favorite recipe, Shrimp and Grits. Don’t forget to send us a photo of your creation to be featured on our website. Please share your feedback and requests on content for our next Financial Edge. Check out our latest Dentists Financial Edge newsletter for 2018. This newsletter includes updates you’ll want to know about the Tax Reform, some insight on how to better your success rate in setting appointments, and maybe even your new favorite weekend recipe. Don’t forget to send us a photo of your creation to be featured on our website. Please share your feedback and requests on content for our next Financial Edge.